Dr. Kligman is a Board Certified ophthalmologist and fellowship-trained cornea, LASIK and cataract surgery specialist. He attended Cornell University where he earned his Bachelor of Science with Distinction and was inducted into the Alpha Omicron Nu honor society for his academic achievements. Dr. Kligman then earned his M.D. at NYU School of Medicine. It was while observing cataract surgery in his third year of medical school that he realized the restoration of sight through intricate and precise microsurgery was the career that he wanted to pursue. During this time, he was invited to complete a pre-residency research fellowship in ocular oncology at the Wills Eye Hospital, where he gained extensive knowledge of the diagnosis and treatment of ocular cancer. Following medical school, Dr. Kligman completed a transitional year internship at Memorial Sloan Kettering Cancer Center in Manhattan. He then began his ophthalmology residency at the Edward S. Harkness Eye Institute of Columbia University Medical Center where he served as Chief Resident in his final year. During residency, he became interested in cornea surgery, due to the rapidly evolving technology and surgical techniques that would allow him to restore sight to the blind and visually impaired. This led him to pursue a fellowship in cornea, external disease and refractive surgery at the world-renowned Cole Eye Institute of Cleveland Clinic. There he learned to perform the most advanced cornea transplant techniques including Descemetâs Membrane Endothelial Keratoplasty (DMEK) and Deep Anterior Lamellar Keratoplasty (DALK), which preserve parts of the patientâs own cornea while replacing only the diseased portion. He also gained extensive experience with the most cutting edge technology used in laser refractive surgery for procedures such as LASIK and PRK. Dr. Kligman has a special interest in corneal collagen crosslinking (CXL), a recently FDA-approved technique for treating conditions that weaken and deform the cornea. Throughout his training, Brad Kligman, M.D. has been extensively involved in research, publishing over 20 peer-reviewed articles, textbook chapters and abstracts. 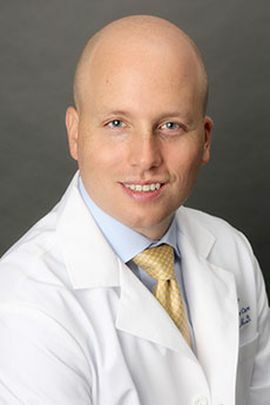 He has presented his research at both national and international conferences on topics ranging from ocular tumors, to corneal collagen crosslinking (CXL) and corneal transplant techniques. He was awarded Best Paper of Session at the 2016 annual meeting of the American Society of Cataract and Refractive Surgeons and his work was featured in the Best of ASCRS 2016 session. Dr. Kligman is a member of the American Academy of Ophthalmology, the Cornea Society, and ASCRS. He is also an active member of the New York State Ophthalmological Society where he helps to organize events for the Young Ophthalmologists (YO) Subcommittee. Outside of work, Dr. Kligman enjoys photography, tennis, golf, and cycling. He loves to cook and travel with his wife Erin, who also grew up on Long Island. He is a lifelong fan of the Mets, Jets, Islanders and Knicks.